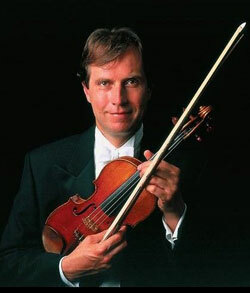 David Juritz was born in Cape Town, South Africa, where he began violin lessons at the age of six with Noel Travers. He continued his studies at the Royal College of Music in London with Hugh Bean and Jaroslav Vanecek on scholarships from Associated Board Scholarship and the Leverhulme Trust. Whilst there he won all the top prizes for violin and was the recipient of the college's highest award, the Tagore Gold Medal. On leaving college he joined the English Chamber Orchestra who sponsored his South Bank debut at the Purcell Room in 1985. Since then he has appeared as a soloist and chamber musician in all the major concert halls of the UK as well as performing in North and South America, the Far East, Europe, South Africa and Australia. In 1991 he was appointed leader of the UK's longest established chamber orchestra, the London Mozart Players. David works frequently as soloist and director with the LMP and in this role, has given many world premieres including new works by Cecilia McDowall, Geoffrey Burgon, Lynne Plowman and Geoffrey Hanson. He also works as a guest-director with orchestras such as the Ambache Chamber Orchestra, Mozart Festival Orchestra, the Royal Philharmonic Orchestra and Zurich Chamber Orchestra. He is a regular guest leader with orchestras such as the Royal Philharmonic and London Philharmonic Orchestras as well as leading session orchestras on major films. Recent credits include The Merchant of Venice and The Last King of Scotland. His recording of Vivaldi's Four Seasons with the London Mozart Players was acclaimed as 'one of the finest interpretations on modern instruments'. In March 2003 Dutton released his world premier recording of works for violin and piano by Samuel Coleridge-Taylor. Other recordings include music by George Dyson and Rebecca Clarke on Dutton, quartets by Szymanowski and Schubert with the Maggini String Quartet for ASV, Vaughan Williams' Lark Ascending for Collins, Slow Dances, Quiet Passions on Bonus and Louise Talma on Naxos. In addition to performing, David Juritz writes about issues related to music, contributing articles to The Strad, Double Bassist and Nature and recently presented 'The Asylum Band' on Radio 4, a programme about the Orchestra of Norfolk Mental Hospital. 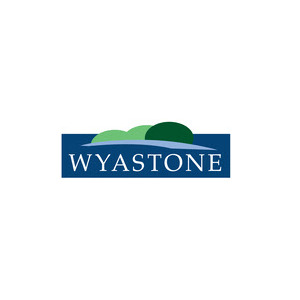 In 2005 he took over the role of Artistic Director of the Burton Bradstock Festival. David was a soloist with the London Mozart Players in the 2006 BBC Promenade Concerts. February 2007 saw the first concerts with his group, The London Tango Quintet. In June 2007, David busked his way round the world playing Bach's Sonatas and Partitas for solo violin. During this journey he launched a new charity called Musequality, which finances start-up music projects in deprived areas. The charity has now helped music projects in Capetown, Soweto, Kampala and Thailand and hopes to set up a new project in Goa in 2010 He is currently recording the complete Bach Sonatas and Partitas. In 2009 David launched the Musequality World Busk which will run from 8-14 June which a world record biggest busk on Sunday 14 June at noon.